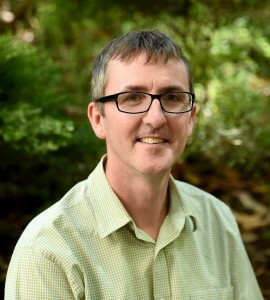 Spencer Williams obtained his BSc and PhD (under the supervision of Professor Bob Stick) at the University of Western Australia (UWA) (completed 1998, conferred 2001). For 1998-2000 he was an Izaac Walton Killam Postdoctoral Fellow in the laboratory of Professor Stephen G Withers at theUniversity of British Columbia, Canada, where he worked on glycosidase inhibitors. For 2001-2002 he was a Howard Hughes Medical Institute Fellow of the Life Sciences Research Foundation in the laboratory of Professor Carolyn Bertozzi, based at the University of California, Berkeley, USA. Since July 2002 Spencer has been a member of the faculty in the School of Chemistry. His current interests include Chemical Biology: the application of chemical synthesis, and in particular carbohydrate chemistry, to biological problems; and Medicinal Chemistry: the development of new therapeutic agents for treatment of diabetes, cardiovascular disease, and pain. He has authored over 130 journal articles, 11 patents, 6 book chapters, and co-authored a textbook, Carbohydrates: The Essential Molecules of Life (RV Stick and SJ Williams, 2009, Elsevier). He is a co-founder of FibrotechTherapeutics (sold to Shire Plc in 2014) and OccuRx, and a shareholder and advisor to Armaron Biosciences Pty Ltd, Melbourne-based biotechnology companies. David Syme Research Prize (2014).